“I discovered Cuba’s perfume and her sensual warmth as an immature adolescent discovers an ardent, knowledgeable woman.” Zino Davidoff (1906 – 1994). Size matters. That’s the bad news – for some. The good news? We are talking about cigars. What were you thinking? The variety of cigars is huge. It can therefore be overwhelming just to stand in front of the shelves at your local cigar shoppe. Trust us; even seasoned aficionados are not familiar with all cigars out there and there is absolutely no need for you to be… If one is a beginner, the goal should be to find three or four brands and types that he likes. For the somewhat experienced smoker, the goal should be to gradually expand his horizon and slowly venture into new brands. For our Digest purposes, however, which is to provide a general overview, it will suffice to distinguish cigars on a handful of criteria: tobacco, geography, and format. Also, we want to shed light on some things you should know about the “how to.” After all, we want you to look good. 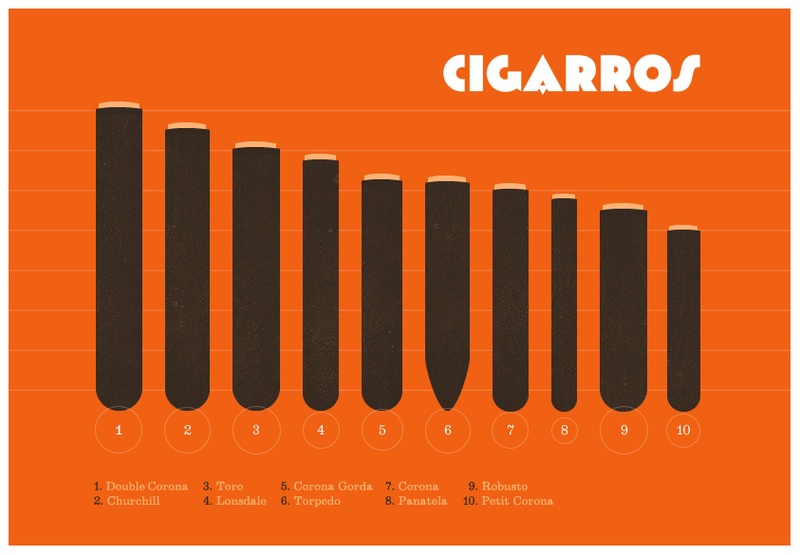 Cigar Geography; the tobaccos of the World. What regions come to mind when thinking about fine cigars? Usually it is only a handful of countries that find their way into the smoke filled conversations of the cigar stores around the western hemisphere: Cuba, Dominican Republic, Honduras, maybe Brazil, and Nicaragua. Of course, there are many more on almost all continents where the climate – hot and humid – allows successful tobacco cultivation. Flavor of cigars, as we will see below, is mostly determined by externalities and raw materials are of limited impact. Many of the famous Cuban brands, like Cohiba, offer versions from the Dominican Republic for its American customers, grown from the same seeds as the original. However, the climate of the producing region has such an impact on the manufacturing process that the ultimate product will be different. Some manufacturers have even imported Cuban soil, additionally to the seeds. While this led to an increasing variety among high-quality cigars, a true copy of Cuban cigars still needs to be discovered. Dominican Republic: famous for its lighter, well-balanced cigars. Manufactures use native (Olor Domiciano) and imported (Piloto Cubano) tobacco that vary in strength. Nicaragua: Nicaragua’s climate, often compared to Cuba’s Vuelta Abajo, produces a full-bodied, strong tobacco that is mostly used for cigar filler. The country also offers lighter tobaccos, accordingly used for wrappers. In general, Nicaraguan tobacco can be considered relatively strong. Honduras: tobacco from Honduras originated in Cuba and seeds were smuggled to Honduras by the Cuban legend Juan Bermejo, who brought eight pounds of Cuban tobacco seeds fleeing the Cuban revolution. Honduran cigars are usually full-bodied and strong. Cuban: famous for its Vuelta Abajo, the most western tip of the island. Aficionados identify the tobacco cultivated there as the best in the World. Cuban cigars are usually extremely full-bodied and strong. Hecho a mano; the manufacturing process determines the quality. A cigar is usually put together from two different tobaccos: the filler and the wrapper. Tobacco leaves are put through the process of curing, where its bold, full-bodied flavor. the leaves are dried for about 4 to 6 weeks under specific condition. This curing process has a huge impact on both the quality and the appearance of the final product and varies among the different regions. Secondly, the leaves are put through a period of fermentation, where most of the qualities (flavor, burning characteristics) of the ultimate cigar are brought to the tobacco. After fermentation, the leaves are ready to be processed into cigars. In order to do that, the leaves are categorized based on quality and appearance; while the majority of the leaves will end up as filler, the premium leaves will serve as wrappers. The overall aging process varies from manufacturer to manufacturer and tobacco leaves are usually subject to continuous inspection under tightly controlled circumstances. Most of the fine cigars are still hand rolled, although some brands offer machine rolled products to lower prices. Experienced cigar rollers can manufacture several boxes of cigars per day which can be sold at a significant premium, making the seemingly antiquated business model profitable. Being hand-rolled is still – and rightly – considered an indicator for quality. Ultimately, just like with any other manufacturing product, the raw materials and the process determine the quality of the final product. Control for humidity and temperature are crucial and should not stop after the cigar found its way into the box. 70-72 percent humidity are considered perfect to store cigars and sophisticated humidors will help maintain that exact level. Cigars require, just like during their manufacturing process, constant humidity of about 72 percent. Boxes designed for cigar storing are called humidor. Humidors come in a variety of sizes, shapes, and of course prices. And by the way: Usually, it is possible to prolong the life of your regulator by strictly using distilled water instead of water from the tab. Humidity does not require any of the minerals or additives normal or spring water includes. As a matter of fact, it will most likely cloak the pores of the sophisticated sponges the systems use to gradually dispense moisture. If cigars are stored in a dry environment, they will dry out within days. A simple test to evaluate the dryness of your cigar is to take it in two fingers and slowly roll it along your thumb. Apply a little pressure and hold it to your ear. If you can hear significant cracking, your cigar is most likely too dry already. If you are lucky, you can still save your cigar: put it in the perfect humidity and it may bounce back from temporary dryness. If it has been too dry for days, however, it is unlikely that you will be able to save it. If a cigar is too moist, it will slowly develop a furry white film around the wrapper. This is usually no problem and the cigar can still be enjoyable, after drying a little. Wipe the film off and put the cigar in a dry environment. Avoid direct sun exposure because it will not dry the cigar evenly and lead to a badly burning cigar with a breaking wrapper. The “guillotine” cut: Not very sophisticated, but certainly the most common cut. If you are completely new to cigars, you may want to go and buy a simple guillotine cutter. Plastic cutters can be purchased at any cigar shop for a few bucks and they usually do a fine job. If you really need a hobby, and you have decided that cigars will do the job, you can spend hundreds of dollars on a nice Davidoff cutter. We recommend the gold lined double-bladed cutter with the 36 diamonds. Guillotine cutters will cut your cigar in a straight fashion. The size of your cut is therefore determined by where you cut your cigar. Cigars with well-rounded tips are easier to cut and you can easily determine the size of your cut. As a rule of thumb, you want to cut your cigar a few millimeters away from the edge of the cap. The cap is the little piece at the very tip of the cigar, usually of the same tobacco type as the wrapper. Usually, you can see the edge of the cap and it should not be difficult to find the right spot for your cut. If you cut it to close to the edge, however, you run the risk of having your cigar wrapper fray. A great rule of thumb is to cut your cigar about 2mm (or 1/16 of an inch) from the end of the tip. If you use a single blade cutter, make sure to place the cigar end toward the far end of the opening, as far away from the blade as possible. In doing so, you will have the maximum amount of control when placing the blade. Bring it down slowly until it touches the cigar. The cut itself should then be one steady, quick “kill.” The technique is similar with a two-blade guillotine. Lead the two blades until they rest on the cigars and cut the tip in one quick cut. Two-blade cutters usually offer better results because the cigar is not pushed against a dull surface of the single-blade cutter. The “Round Cut” or “Puncher:” Usually the most sophisticated of all cuts, but also the most demanding. The sharp edges of your cutter, which itself is barely larger than a small keychain, allow you to literally punch a round hole into your wrapper. Pulling out the cutter, it will also pull out the cut-out piece of the wrapper, leaving you with a small hole (usually about 1/3 of an inch or about 7mm) in the mouth-end of your cigar. This cut is perfect for cigars will well-rounded ends, such as coronas or robustos. Thanks to its clean cut, it will prevent the edges from falling apart and you will not end up with tiny pieces of tobacco in your mouth. However, the usefulness of your cutter is limited because of certain size limitation. Again, size matters. Cigars of larger diameters will be difficult to smoke because your cut will be too small to support enough airflow. A large presidente or a toro may require too much work for you if cut with a round cutter. And then of course, we also have the torpedo, which you will not be able to cut because of its shape. An additional difficulty will be to handle the cigar while making the cut. Unlike with the guillotine cut, the pressure applied on the cigar pushes horizontally along the wrapper and not vertically. Using too much pressure, it is easy to torn the wrapper, turning the cigar unusable. Especially if your cigar seems relatively dry, use caution; a small guillotine cut may be your better option. The round cut technique, where only a small portion of the wrapper is cut out, is also applied in a so called “v-cut.” This cutter will, instead of a perfect circle, cut out a small v-shaped piece of the wrapper. The scissor cut: Scissors function similar to the guillotines, but are a little more sophisticated. The rounded blades will allow you to tightly hold the cigar in place before you make the actual cut. Just like with the guillotine, the cut needs to be one even stroke. The utensil has some advantages over the normal guillotine, especially the ease to clean and the ability to better control your cut. There are many opinions out there about how to properly light a cigar. Some techniques will get the job done just fine within a few seconds, other may take a minute or two. We consider it very much a personal choice how you light your cigar and nothing is farer from our intention than finger pointing. Still, we would like to point out some pros and cons of the different techniques. Gas lighters and “flame throwers:” Just remember that someone has put a lot of effort into your cigar and you probably don’t want to enjoy it under a cloud of gasoline smell and taste. Zippos are great for our esteemed members of the Armed Forces or the sailors out there on the seven seas. But it is unlikely that you yourself will have to light your cigar in an approaching hurricane. But yes… It will get the job done in a reasonable time and after those first ten puffs, you might even be able to enjoy the taste of the tobacco. Butane lighters, or as we like to call them “Flame throwers” are another quick way to light a cigar. Some among us prefer them because of the edgy, blue flame that allows you to actually aim the fire at a specific point. The downside, however, will be the intense heat of butane lighters. A normal match, at the tip of the flame, will develop a temperature of about 600 degrees Celsius (after the sulfur has burned off). A butane lighter will constantly deliver temperatures of beyond 1000 degrees Celsius. Some may argue that this excessive heat will instantly scorch tobacco instead of slowly burning it. Matches and cedar branch: The other side of the spectrum: the slower the better. We don’t care if you decide to use the better half of your evening for lighting your cigar, but sometimes, it can get annoying to use ten 4 inch matches and half the ashtray without even getting to that first puff. The major benefit of using these techniques is certainly the taste neutrality, which means that your tobacco experience is not affected by any fumes or other additions. To make sure that no chemicals coming through your cigar, you then might want to wait an additional second after lighting your match; in doing so, you will make sure that the sulfur on the tip will completely burn off and your flame will only be fed by the wood of the match. An alternative to the match would be the branch of cedar. Often times, boxes of cigars come with a layer of cedar wood on top of it to retain some moisture for storage and transport. This layer can easily be broken up in thin sticks that can help to light your cigar. The legend of the dying sailor or why we don’t use candles to light cigars or cigarettes: In a variety of European countries, common superstition prevents people to light their cigars or cigarettes with a candle. The thoughtless grasp to the candle on the table would evoke shaking heads and evil stares at the culprit and especially in countries with great traditions of seafaring, many a man mysteriously disappeared after lighting his cigarette with a candle. The worldliest explanation: In the olden days, sailors used to supplement their income by producing matches, a craft easily mastered by otherwise unskilled labor. By using a candle as your lighter, you deny the sailor his additional income, ultimately killing him. The two more theatrical versions: Small fishing boats used to carry lanterns on their bow to avoid crashing in rough waters and foggy conditions on the high seas. These lanterns were of course using candles and when the candles would go out – which often happens when someone puts his cigarette against the tiny flame – it would mean that another boat would be lost at sea, taking his passengers to their wet graves. Similarly, some argue that lighthouses would use the light of candles to guide ships and boats to safety in rough seas. By using the candle to light a cigarette it was possible that a) the candle would be blown out by the culprit, or b) the culprit would shield the guiding beam of light from the ships, making them unable to navigate to safety. Let’s assume you have found your weapon of choice and now you actually want to light your cigar. Here, size does not really matter, but technique does. What you don’t want to do is easy to say: it’s not a cigarette, so you don’t want to put in your mouth and puff away with the flame held to the tip. The result will be much better if you hold the cigar in one hand and the lighter or match in the other. Holding your cigar tip into the flame, you want to slowly turn the cigar so the flame can evenly engulf the whole edge of your cigar. Taking the flame away, you want to take one big pull to draw oxygen through your cigar. This will fuel the parts already lit and you will see where your cigar is properly lit. The goal should be an even circle around the edge, slowly burning to the middle. 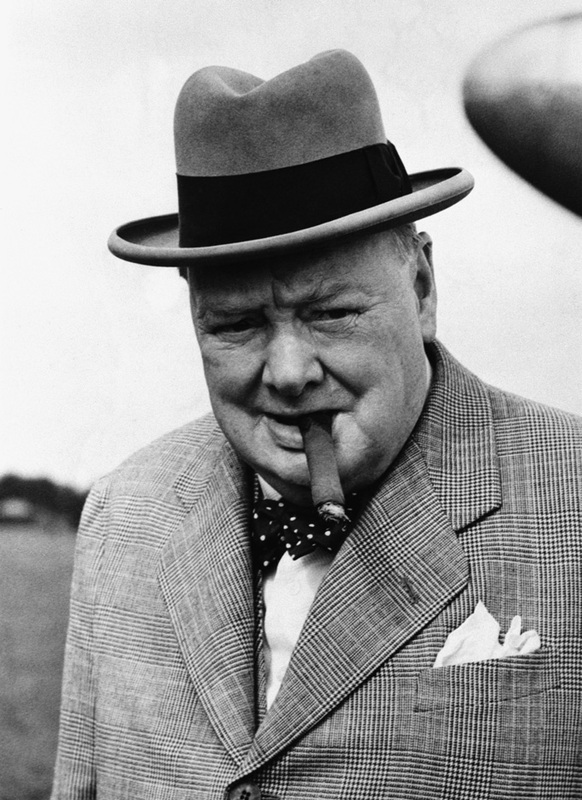 Some techniques demand a sophisticated flicking motion, so that your cigar barely touches the flame. While that is certainly ok, it requires some practice and may take some time.